Team up and shoot Genestealers in the face in Space Hulk: Deathwing, Streum On's FPS adaptation on PC and consoles of Games Workshop's classic boardgame, now revealed in all new screenshots. 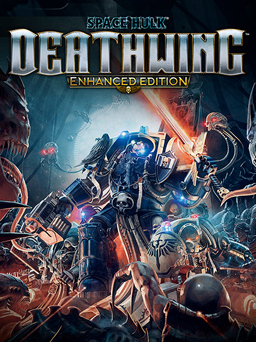 Additionally to its solo game mode, Space Hulk: Deathwing features class-based cooperative team-play and will demand not only savvy hand-eye coordination, but also clever use of squad tactics coordinated by the Librarian; the leader of your Terminator squad. Each player will make use of their role and specialization to wade through swarms of approaching Genestealers, and reach objectives as you advance through the story. With a narrative written by renowned Black Library author Gav Thorpe, the game takes players on a grand and immersive journey through the infested hallways of a labyrinth of space ships. Streum On Studio have crafted a dynamic AI system that scales attacks depending on the ability of the player squad, ensuring players will always be challenged. If you're doing well, the Genestealers will intensify their assault, but as you begin to weaken, they'll not unnecessarily risk their numbers. You'll have to work as a team in multiplayer - or give the right orders to your AI squad in single player - to survive the harsh realities of war in a Space Hulk. Space Hulk: Deathwing will release in 2016 on PC and consoles.